Summary coverage of upcoming industry events, as well as recent award, partnership, promotion, personnel, facility, distribution, standards, association, and certification news from across the connector industry. TE Connectivity is showcasing its portfolio of SEACON products, DEUTSCH connectors, sensors, and Rochester engineered cables for oil, gas, and marine applications at U.S. Hydro 2019 in Biloxi, Mississippi, which began yesterday, March 18, and will run through Thursday, March 21. Exhibit highlights include TE’s SEACON OPTI-CON hybrid, dry-mate fiber optic connectors for high-data-rate transfer applications in demanding marine environments, including cameras, monitoring equipment, sonars, remotely operated vehicles (ROVs), and towed arrays. Visit TE at booth #68. AVX Corporation, Mouser Electronics, and New England Wire Technologies are exhibiting at APEC 2019 in Anaheim, California, which began this Sunday, March 17, and runs through Thursday, March 21. Visit AVX at booth #832, Mouser at booth #661, and New England Wire Technologies at booth #453. SCHURTER is showcasing its newest connectors at Data Center World 2019, which will take place March 19–22 in Phoenix, Arizona. Exhibit highlights include the first UL approved 400VDC couplers according to the IEC TS 62735 standard, which will provide power distribution unit (PDU) and other data center equipment manufacturers with a safe and reliable standardized solution for DC power architecture; its newest 4751 Series IEC 60320 F-Style outlets, which provide increased functionality and ease of assembly and offer a tamper resistant blind cover; outlets with integrated light pipes, which channel light from LEDs on PCBs to the front of the connector to provide status indication; and outlets with IDC terminals for quick assembly. Visit SCHURTER at booth #312. TE Connectivity is showcasing its ENTRELEC range of terminal blocks at SIFER 2019, the 11th International Exhibition of Railway Technology, which will take place in Lille, France, March 26–28. ENTRELEC terminal blocks are particularly well suited for railway applications — exhibiting rugged resistance to high vibration, impacts, and corrosion — and offer more than 8,000 different product solutions for rolling stock and infrastructure that fully comply with both the most recent and most demanding international railway standards. Exhibit highlights include the SNK Pluggable Series, the SNK PI-Spring Series, and the IDC Series. Visit TE in hall 3 at stand 220. ITT Cannon is also exhibiting at SIFER 2019, where it will showcase its extensive range of highly engineered rail market connectors. Exhibit highlights include its high-power Power Plate solutions, portfolio of rail connector plating options, including its best-in-class Blue Generation plating material, and its high-speed CIR M12 connectors for Ethernet and train communication networks. Visit ITT in hall 1 at stand 102. HARTING is showcasing new standards development efforts and smart product solutions for intelligent industrial infrastructure at HANNOVER MESSE 2019 in Germany, April 1–5. Exhibition highlights include the new HARTING T1 Industrial Series — the first IP20, standardized single-pair Ethernet (SPE) interface consisting of a connector and a PCB socket, which will support the continued expansion of Industry 4.0 technologies, as well as the company’s comprehensive line of circular metric M12 PushPull solutions for factory automation equipment, which includes a new miniature M12 PushPull interface for recessed sockets. Additional exhibit highlights include the company’s Han Configurator for industrial connectors, the microSNAP vehicle concept, and a corresponding, robot-operated fast-charging station. Visit HARTING in hall 11 at stand C13. ITT Cannon is showcasing its comprehensive portfolio of high-reliability interconnect solutions for avionics, cabin, and in-flight entertainment systems at the 2019 Aircraft Interiors Expo, April 2–4 in Hamburg, Germany. Exhibit highlights include lightweight and space-saving connectors for in-seat power, a full range of high-bandwidth copper and fiber optic cabling solutions for high-speed data, and filtered connectors capable of meeting demanding shielding requirements. Visit ITT in hall B6 at booth 6F60. Heilind Electronics is hosting its next Tech Expo in Houston, Texas, on April 4. The event will provide attendees with the opportunity to engage with representatives from more than 25 leading electronic component manufacturers. Registration is now open and admittance is free. Heilind’s next Tech Expo will take place in Salt Lake City, Utah, on June 20. Samtec is showcasing its broad range of high-performance interconnect solutions ideal for broadcast video applications, including studio cameras, headend systems, and storage, at the NAB Show in Las Vegas, April 8–11, 2019. Exhibit highlights include the industry’s largest variety of 12G-SDI solutions with launch design services for optimizing system performance and an array of RF connectors, cables, and components. For more information, download a copy of Samtec’s Broadcast Video Solutions Guide, check out their 12G-SDI Solutions Video, and visit Samtec at NAB in the central hall at booth C1050. TTI, Inc. is exhibiting at the 2019 Electric & Hybrid Vehicle Technology Expo in Stuttgart, Germany, May 7–9. Visit TTI in hall C1 at booth 237 to discover new EV and HEV products and chat with onsite engineering experts. Molex showcased its extensive portfolio of next-generation optical solutions for dynamic, high-bandwidth telecommunications and network solutions at OFC 2019, March 5–7 in San Diego, California. Exhibit highlights included LumaLink Optical Trace Cable Assemblies, optoelectronic interconnects, QSFP-DD interconnect systems, mid-board optical modules, cable assemblies, and adapters, OptoConnect Enclosures, and wavelength management solutions. The HARTING Technology Group showcased its innovative fast-charging technology on the Rinspeed microSnap vehicle at the 89th Geneva International Motor Show, March 7–17, in addition to various other components for electric and plug-in hybrid electric vehicles, including connectors and cables designed to enable the fast, efficient, and reliable transmission of power, signal, and data in harsh-environment automotive applications. HARTING has been a direct supplier to VW for a specific e-mobility solution since the end of 2016 and is a Tier 1 supplier to the BMW Group. Molex also teamed with Innovium, a leading provider of networking switch solutions for data centers, to demonstrate a switch system design that combines Molex’s BiPass I/O technology with Innovium’s industry leading 12.8Tb/s TERALYNX™ Switch ASIC at the OCP Global Summit, which took place March 14–15 in San Jose, California. The new switch system design offers better signal integrity, thermal management, and simple manufacturability, and provides customers with a highly robust and resilient system. Phoenix Contact’s AC Charging Cables for electric vehicles and charging stations won a 2019 iF Design Award in the Automobiles/Vehicles category within the Product sector. The award was presented by the world’s oldest independent design institution, the iF International Forum Design GmbH in Hanover, Germany, and honored the product for its attractive, ergonomic design and robust, high-quality materials. The AC Charging Cables beat out 6,374 other competitors from 52 countries and were also honored with the 2019 German Design Award in October of 2018. Mouser Electronics has been named 2018 Distributor of the Year by Amphenol SV Microwave, which presented Mouser with the award in recognition of continued growth in customer counts and points of sale, new product introduction investments, and technology and innovation advancements, as well as its continued focus on mindshare and best practice improvements. Mouser carries a full line of Amphenol SV Microwave RF connectors and cable assemblies and, over the course of the past 10 years, has received several awards from Amphenol Corporation and its subsidiaries. TE Connectivity and Avnet have been recognized by the Ethisphere Institute, a global leader in defining and advancing the standards of ethical business practices, as amongst the 2019 World’s Most Ethical Companies. This is the fifth consecutive year TE has earned this recognition and the sixth consecutive year that Avnet has. Heilind Electronics received Sensata Technologies’ 2019 Channel Partner of the Year Award in recognition of having delivered the highest percentage of new revenue and customers within the Sensata industrial channel. Element14 announced the winners of its annual Community Awards, which highlight the innovative spirit of the combined Premier Farnell and element14.com electronic design community. This year’s awards recognized winners in five categories: Member of the Year, Road-Tester of the Year, Best Design Challenge Project of the Year, element14 Presents Video Project of the Year, and Project14 Theme of the Year. Avnet Supply Chain Director Robert Cowan has been named a 2019 Pro to Know by Supply & Demand Chain Executive Magazine. Cowan serves as director of supply chain solutions development for Avnet Velocity, Avnet’s global supply chain solution innovation center, and is the 15th Avnet executive to make this distinguished list of supply chain professionals. Yamaichi Electronics was honored with a German Innovation Leader Award by the F.A.Z. Institute, which belongs to the renowned German newspaper F.A.Z. (Frankfurter Allgemeine Zeitung). Based on selection criteria including the number and frequency of patent applications with the German and European Patent Offices, the award recognizes the high value and utility of the patents that save the company’s inventions from copycats. Yamaichi Electronics currently holds 111 approved and 87 pending patents for its inventions in the field of electromechanical components and electrical contacting technologies and, in 2018 alone, successfully filed 18 patents with the European Patent Office, which is an outstanding achievement for a medium-size company like Yamaichi Electronics Deutschland GmbH. HUBER+SUHNER Cube Optics received a 2019 Lightwave Innovation Reviews Program Award for its CUBO Mini 100G Optical Multi-Purpose Tool — a compact, stand-alone optical demarcation device for 100G that enables simple setup and full transparency of all higher levels, including OTU4 at the lowest possible latency, by taking advantage of the wide variety of 100G QSFP28 transceivers and covering different distances up to 25km. The award distinguishes top products and solutions available within the optical networking industry according to criteria including originality, innovation, positive customer impact, efficacy, novelty, and cost effectiveness. Phoenix Contact was named Top Employer for Engineers by the Top Employers Institute, which annually executes a multi-stage research and audit process to identify companies that exhibit a consistent commitment to creating an attractive working environment. This is the eleventh time that Phoenix Contact has been honored with this award. The Electronics Representatives Association (ERA) announced the recipients of its 2018 Chapters of the Year Award at its 50th anniversary conference, which took place February 24–26 in Austin, Texas. The Education Award went to Chicagoland-Wisconsin ERA for its “Lie to Me: The Science Behind Reading Hidden Emotions” event; the Membership and Member Services Award went to Southwest ERA for its multi-city (Dallas, Austin, and Houston) member lunch meetings; the Special Projects Award went to Northern California ERA for its Women in Leadership panel discussion and networking event; and the Marketing Services Award went to Arizona ERA for its Sonoran Silicon Valley Tech Show and Gathering in Phoenix. Each Chapter of the Year receives a full-tuition scholarship to the COLT program that can be used in 2019 or 2020. Newark element14 and Farnell element14 changed their names to Newark, An Avnet Company and Farnell, an Avnet Company, effective March 1, 2019. The name change acknowledges the companies’ roles as key elements of the Avnet eco-system (of which they’ve been a part since 2016), honors their past by retaining the Newark and Farnell names established in the 1930s, and demonstrates the added value they can provide as one company. The change allows customers to work collectively with Newark in North America, Farnell in Europe, and Avnet, and provides them with a single, cohesive partner capable of providing optimized support throughout the many complex phases of the product development cycle, which helps save time and money. Phoenix Contact USA promoted Kevin Zak, who will celebrate his 25th year with Phoenix Contact later this year, to the role of vice president and general manager. In his new role, Zak will oversee the company’s U.S. Sales Subsidiary, including sales, marketing, channel operations, and service functions within the United States. TE Connectivity announced its partnership with The Franklin Institute in Philadelphia. The two entities are working together to create Tech Studio, an interactive exhibit space and facilitated workshop suite designed to inspire the next generation of engineers with hands-on exhibits, design engineering workshops, and rich STEM-based experiences that foster the technical and critical thinking skills essential for developing the technology of tomorrow. Tech Studio will open to the public in May 2019. Sager Electronics launched its new customer service portal: MySager Account. The secure portal provides customers with improved visibility for past purchase histories, enhanced online ordering and quoting capabilities, and the ability to search for products by part number, enter orders using payment terms, place backorders, and request partial shipments. 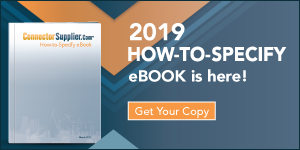 Samtec released a new 5G Applications Solutions Guide and published videos and blogs about a 56Gb/s demo system with 5/8Tb/s throughput and a five-meter, 56Gb/s, long-reach backplane cable assembly for rack-to-rack applications. TTI, Inc. launched a new Transportation Resource Center that provides a variety of online resources dedicated to providing for information about and specifications for electronic components designed to address the unique needs of transportation industry applications including battery electric vehicles, hybrids, rail, commercial vehicles, agricultural equipment, watercraft, and autonomous vehicles. The dedicated resource center is segmented into supported technologies across a full range of passive, electromechanical, connection systems, high voltage, and sensors and features numerous technical articles, white papers, and videos from TTI suppliers and industry experts. HARTING is the Official Technology Partner of the 27th tournament edition of the ATP 500 Series Gerry Weber Open, a renowned grass-court tennis championship event that will take place in Halle/Westphalia, Germany, June 15–23, 2019. HARTING will provide solutions for stage, LED, and sound technology, and its Edge Gateway MICA® will be used in a digital system designed to collect and transmit lawn condition data. Mouser Electronics is a principal sponsor of the 17th Create the Future Design Contest, a challenge to engineers and students around the world to create the next great thing. Mouser has sponsored the contest for several years and, this year, is joined this year by valued cosponsors Intel® and Analog Devices, Inc. The grand prize winner receives worldwide recognition and a cash prize of $20,000 for an innovative product that benefits society and the economy. Previous contests have produced more than 14,000 design ideas from engineers, entrepreneurs, and students in more than 100 countries. Adam Fletcher has joined the Electronic Components Industry Association to represent the needs of members in Europe. In addition to promoting ECIA values around the authorized distribution channel, he will investigate market needs and how the association, with its unique charter, can add value to the existing eco-system of industry associations. Fletcher is a veteran of the electronic components industry and has numerous qualifications in business and finance, including an MBA from Aston Business School, experience at Raytheon Systems, Eurotherm Group, and MEMEC plc, and stints as both Appointed Chairman of the Association of Franchised Distributors of Electronic Components (AFDEC) and Chairman of the International Distribution of Electronics Association (IDEA). To help solve the electronics industry’s acute skills shortage, Harwin has established an academy for aspiring young engineers. The Harwin Academy, enacted in partnership with Havant & South Downs College, provides students with high-quality training designed to set them up for successful careers in the burgeoning STEM sector. The two-year course was thoughtfully developed to ensure that the content meets the needs of the engineering industry and will prepare students for the workplace by bestowing them with a first-class, internationally recognized engineering qualification. Students will receive classroom-based instruction at the college campus, along with valuable practical experience at the Harwin production facility in Portsmouth. When at the Harwin site, they will learn about a variety of manufacturing techniques, gain hands-on proficiency in using the latest state-of-the-art equipment, develop project management skills, and practice working as part of a team. At the end of each year, students may also apply for an advanced level apprenticeship with Harwin. The academy’s initial students are already making their way through the varied and far-reaching course, and the next round of candidates is currently engaged in the interview process. Amphenol RF released its Smart Cities Solutions Guide, a digital short-form catalog designed to streamline the interconnect selection process within the Smart City vertical by providing customers with an overview of the emerging IoT market, a breakdown of the core applications, and information about product technologies capable of developing the infrastructure these next-generation applications require. Amphenol Socapex released a new video about its SC39 connectors for battlefield communication, C4ISR, ground vehicles, military avionics, navy, and missile applications. A video about its RNJ rack-and-panel, blind-mate connectors for battlefield communications systems, ground vehicles, military avionics, and advanced industrial applications is also available. Infinite Electronics, Inc. named Gabriel Guglielmi as its new vice president of product management. Gabriel has more than 25 years of experience in the electronics components industry and has served in various senior management positions, including General Manger at ST Microelectronics, Vice President of Business Development and Strategy at Smiths Connectors, and President of Smiths Interconnect Devices. Indium Corporation, a leading materials manufacturer and supplier to the global electronics, semiconductor, thin-film, and thermal management markets, is celebrating 85 years of technology innovation and growth. Phoenix Contact’s latest blog posts address smart cities, the future of marking, and connecting smart devices. Avnet shared its top takeaways from CES 2019, addressing topics including autonomous technologies, artificial intelligence, and industry partnerships. Molex released a new video about its SlimStack 1.25mm-pitch Floating Series connectors. Newark, An Avnet Company, launched a new Artificial Intelligence (AI) online resource designed to help customers learn more about AI, explore unique AI-specific products and different types of AI applications, and enlist support for new AI projects. Users can also access the new AI Configurator, an interactive tool that helps engineers quickly determine the most appropriate products and solutions for their AI projects. TE Connectivity released a new white paper designed to help engineers understand and respond to the trends shaping tomorrow’s infotainment systems across markets including aerospace, automotive, and smart cities. Infotainment systems are evolving from simple information and entertainment hubs into crucial parts of the architecture of the devices and networks they are part of. “Next Generation Infotainment Technology” outlines the changes happening to these systems and connects the developments to mega trends like 5G and IoT. The ERNI Group announced that a significant expansion of its Thailand site is scheduled for completion later this year. The ground-breaking ceremony took place in November 2018 and the new, roughly 2,000-square-meter building complex, which is largely dedicated to expanded production and logistics facilities, is now due to be occupied as early as July 2019. In addition, the site’s existing 400 employees are expected to be increased to a total of around 600 sometime in the not-too-distant future in order to keep up with high demand, particularly in Asia. The ERNI Group will continue to expand its subsidiary in Thailand into an important production site and a bridge to the Asian market with the overall goal of further increasing efficiency via transparent production and logistics channels and proximity to the market. Digi-Key Electronics is now stocking TE Connectivity’s Nano-Pitch I/O receptacles, which provide critical space savings and improved airflow, can deliver data rates up to 25Gb/s, and are the only high-speed internal connectors named in both SAS and PCIe standards; Harwin’s M225 Series 2.00mm-pitch, high-performance cable-to-board connectors for industrial applications subject to high shock and vibration; and Pulse Electronics’ J1V-2 Series 1×1, top-entry, 1000Base-T to 10GBASE-T 4P PoE Ethernet connector modules for high-power and high-bandwidth applications. PEI-Genesis is now stocking Sure-Seal® IP67 M12 Connectors, which provide rugged and reliable interconnect solutions ideal for use in demanding industrial control networks that employ small sensors and are subject to harsh environmental conditions, including contamination, moisture, and vibration. Designed to prevent system downtime and costly repairs associated with damage resulting from contaminants like water and dust, the IP67-sealed M12 connector series is available in 3- to 17-pole configurations that feature robust TPU materials, gold-plated brass contacts, and screw-lock coupling mechanisms, and offer shielded cable, snap-in connections, and field-wireable PUR or PVC cable assemblies in customizable lengths. Heilind Electronics is now stocking Hirose’s FH62 Series FPC connectors, which feature a compact footprint and a user-friendly, single-action lock that helps reduce assembly time, exhibit high FPC retention force, and support high-speed eDP, MIPI, and USB 3.0 transmission. Other new additions to Heilind’s line card include TE Connectivity’s FASTON receptacle terminals with 2D crimp technology for HVAC, lighting, intelligent building, and industrial machinery applications, and Switchcraft’s new AAA Series low-power XLR connectors for speakers, amplifiers, mixers, signal processors, and other applications in which small size and low weight are critical. Arrow Electronics is now stocking CUI’s IP67 Waterproof USB Type-C Receptacle, which conforms to USB 3.1 Gen 2, delivers data transfer speeds up to 10Gb/s, and has a compact (12.15mm x 10.87mm x 4.02mm), right-angle, nickel-plated stainless steel, surface-mount shell with a single port and 24 terminals on a 0.5mm pitch. It is rated for a maximum of 5A, 20VDC, and 40mΩ contact resistance, in addition to 100MΩ insulation resistance, operating temperatures extending from -40°C to 80°C, and 10,000-cycle durability. It is also RoHS compliant. TTI, Inc. is now stocking Power Triple Lock Connectors from TE Connectivity, which combine high performance and ergonomics via polarization, keying, and three-in-one locking features that ensure secure connections and low mating and insertion force requirements that ease installation; TE’s DEUTSCH Connectors for industrial applications, which feature a rugged construction, cost-effective pricing, and decades of field-proven performance; and a new range of SWaP-optimized solutions from TE Connectivity that deliver improved performance, significant weight savings, and smaller package sizes. TTI also added Harwin’s lightweight Gecko-SL Reverse Fix 1.25mm-pitch Screw-Lok connectors, which offer increased design flexibility for high-reliability, harsh-environment applications, to its line card. Mouser Electronics is now stocking Molex Mirror Mezz footprint-compatible hermaphroditic connectors capable of supporting up to 56Gb/s per differential pair in telecom, datacom, and networking applications; Phoenix Contact’s PTCM Crimp Connection Terminal Blocks, which enable very quick wire terminations and cost-effective cable assemblies ideal for lighting, building automation, security and alarm, and industrial control applications; TE Connectivity’s NanoRF Modules and Contacts, which offer twice the density of the VITA 67 SMPM RF modules used in VPX embedded computing applications and are ideal for military applications including C4ISR and electronic warfare systems; and Amphenol Sine Systems’ heavy-duty, environmentally sealed DuraMate™ AHDM Metal Circular Connectors. Avnet is now stocking ODU MEDI-SNAP® and ODU MINI-SNAP® high-reliability circular connectors with push-pull locking from ODU. ODU MEDI-SNAP connectors have a lightweight plastic housing, offer versatile coding possibilities, are autoclavable, sterilizable, and rated for more than 2,000 mating cycles, and are ideal for use in medical, industrial, and test and measurement applications. ODU MINI-SNAP connectors have a robust metal housing designed for easy handling, offer IP50 to IP68 protection, blind mating capabilities, and versatile coding possibilities, enable the reliable transmission of power, signal, data, and other media in a wide range of applications, and are rated for 5,000 mating cycles. TTI, Inc. Vice President Melanie Pizzey has accepted leadership of the 2019 ECIA Executive Conference, which is scheduled to take place October 20 – 22 in Rosemont, Illinois. As chair of the 2019 ECIA Conference Committee, Pizzey will set the overall direction, choose topics, and select speakers. Like this article? 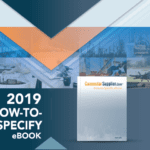 Check out our other Connector Industry News, New Product News, and 2019 articles. Love Your Distributor? Tell Us Why.